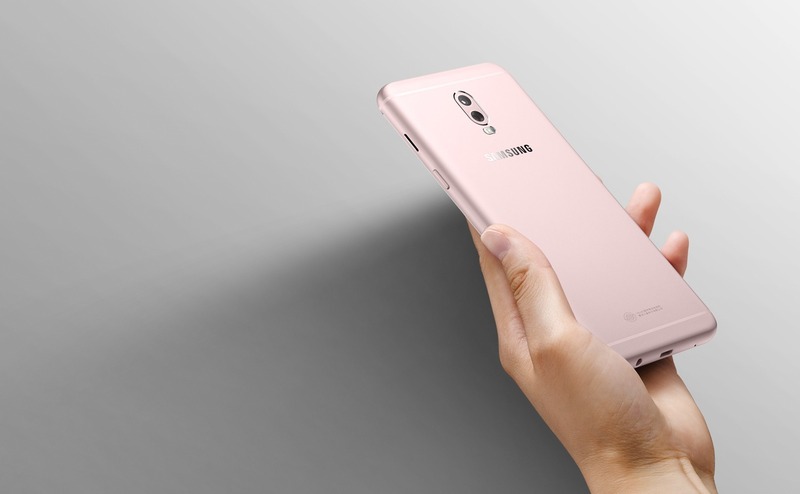 Samsung has launched two dual camera phones so far in 2017 – the Galaxy Note 8 and the Galaxy J7+. 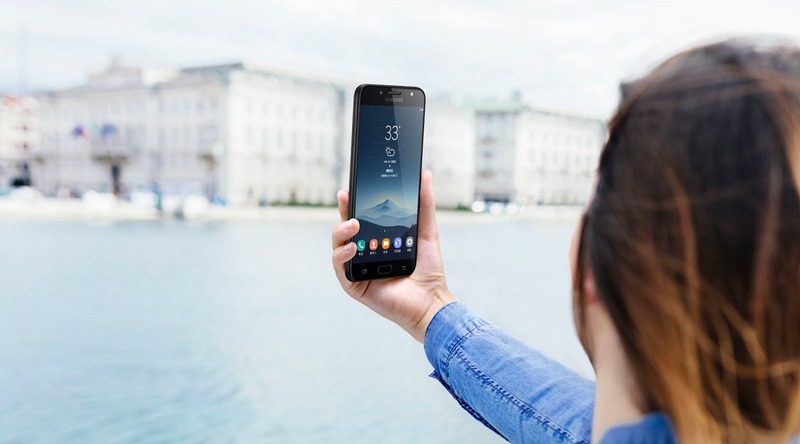 There are still more to come, and today, the Samsung Galaxy C8 was officially unveiled by the company which is the third device from the company which features a dual camera setup on the rear. The design of the phone is pretty much similar to that of the J7+, and you won’t be able to differentiate these phone phones if compared side-by-side regarding the design. 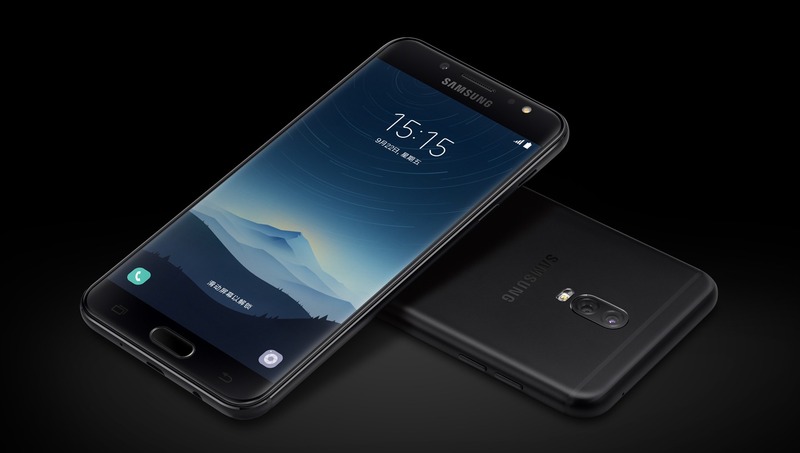 Seems like the Galaxy C8 is the J7+ for China. The phone features a unibody metal design with rounded corners for a better grip. It has the volume rockers and the SIM card + MicroSD card tray (hybrid SIM slot) on the left while the power button and the speaker on the right. There is typical Samsung design on the front with a physical home button and two capacitive touch buttons on either side. The phone also has a front facing LED flash. Things change on the rear as the phone has got a dual camera setup with LED flash. On the bottom, there is a micro USB port, primary microphone and the 3.5mm headphone jack. 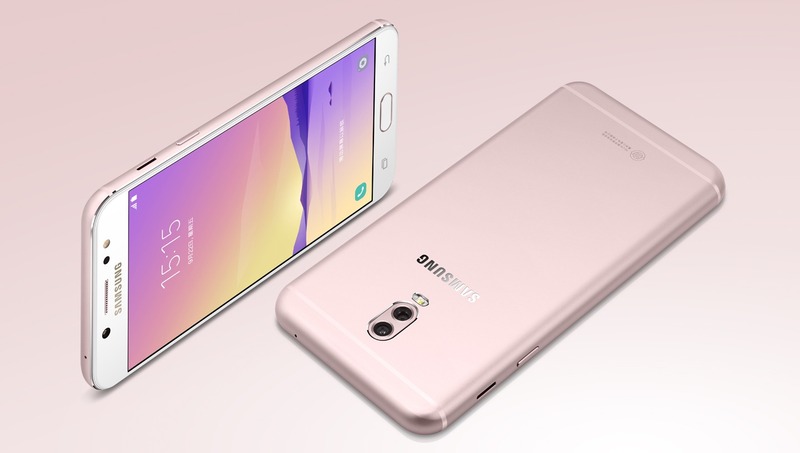 Now coming to the specifications of the Samsung Galaxy C8, it has a 5.5-inch Super AMOLED Full-HD Display and has two CPU variants – one with a 2.39GHz CPU while other with a 1.69GHz CPU. It seems like the phone has an Exynos variant and a MediaTek Helio P20 variant. There is 3/4GB RAM and 32/64GB internal storage that can be expanded up to 256GB by microSD card. Coming to the main highlight of the phone, there is a dual camera setup on the back with the primary camera being 13MP with f/1.7 aperture while the secondary camera is 5MP with f/1.9 aperture. There is a feature that allows you to capture an image and then focus on either the main subject by blurring the background or the background by blurring the foreground. On the front, there is a 16MP camera with f/1.9 aperture and LED flash. 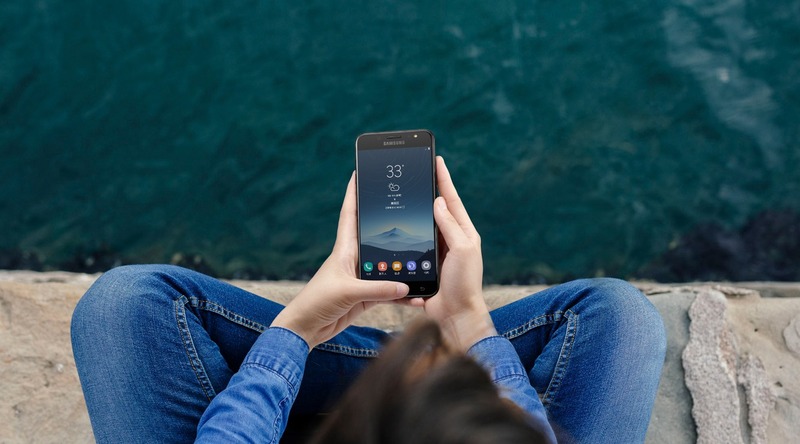 Android 7.1.1 Nougat runs out of the box with Samsung Experience 8.5. There is also a 3,000mAh battery under the hood. Some other features include Bixby, Secure Folder, Fingerprint Scanner, Facial Recognition, Always ON Display etc. The Screen Remainder feature lets you view information such as clock or calendar, or control the music playback on the screen when the screen is off. You can also view new notifications, such as messages or missed calls. Samsung hasn’t yet announced the pricing of the phone, but we will update the post as soon as we get the information about the price. Do let us know your views about the phone. Stay Tuned.